App Builder Appy Pie: Building an app for your business is a brilliant idea when you are planning to take your business to a new greater level. An app brings mobility to your business and brings in a host of other benefits including the lucrative customer loyalty to your kitty. There is a whole lot of effort and work that goes into building an actual app which takes months and sometimes even years to actually get done with every little aspect of your app up and running. After investing this much of time and efforts in building a brilliant app, it is time now to launch it for your customers and followers. While most people invest heavily in building their app, it is surprisingly common for them to not invest much on their launch plan. Sometimes all their plan consists of is putting their app on the app stores. If you ask us, it is not smart to invest this much on a potential business plan and pay absolutely no attention to market the launch of it! The underlying reason for this to happen as often as it does is that it is simply a lot easier to focus on only the part that you as a business app owner can control rather than on something that you can’t. What we mean here is that, if you were building an app, things like adding a particular feature, rewriting a part of the code, or tweaking the color of the button or numerous such things that you can take care of, yourself. Though, you might not do the best job in these aspects, but still you can manage to accomplish these without having to depend on anyone. However, when it comes to attracting the attention of the right kind of the audience, it is impossible to exert any such control on it. When you are trying to convince the right customers to review your app, or a publication or media house to write about it, or the app stores to feature it, you would have to largely depend upon external agents. This relinquish of control is tough to swallow for most entrepreneurs or businesses, which is probably why it is even tougher to formulate a plan for something that is this unpredictable. However, it is time that you understand that there are certain tiny tasks in this wide gamut that you can accomplish and are completely under your control. These tasks when completed successfully can go a great way in helping you propel bigger, external launch events. Though these tasks might not do much for your app’s launch, but when combined, can bring in a world of a difference to the success of your app’s launch. So, let’s get into it! This must pretty much be the beginning of the process of launching this wonderful app that you are building, and this planning must begin even as you are still working on the app. Waiting till the last minute to begin the marketing planning is not really a smart thing to do, because then all through this phase, your app would just be sitting on the shelf while others would be constantly launching new apps, further populating the app arena. What if an army General decided to walk on to the battlefield with the entire army and not have any plan to back them up but simply rely on their luck. We don’t have to tell you how that is going to shape up. The arena of marketing is ever evolving and to match with it and do well, you would have to continuously keep working on your strategy to adapt well to it. When you have a marketing plan ready for the launch of your app, you would stand a better chance of emerging as a frontrunner in your field of business while saving yourself a lot of time, money, and energy. While developing a marketing plan you must create and develop your USPs or Unique Selling Proposition that would attract the right kind of consumer or the consumer that you are targeting. This marketing plan must also include coming up with the name for your app, the keywords that you would do well to include in all your online content, the preview trailers or screens and even create a press kit. We will get into the details of all these activities as you go further into the post. Who are the people that your competitors are targeting? How are the competing apps in your category being named? Which are the apps in your category that are the most popular? What are the keywords that your competitors ranking for? What kind of a feedback are your competitor apps receiving? Do you see any tips in the feedback that can help you improve your own app and market it better? Have you figured out any key features that your competitors are missing out on, or have certain features that annoy the app users or customers? This is one of those first things that form the basis of anything else that you are going to do with the app. Whether you already own a business and are building an app for it or are building an app that is your entire business, you must have a clear buyer persona in front of you that you would be doing all the hard work for. If you have a business and an app or an app that is your business, then most probably you are doing everything you are with the intent of selling it to someone. If, however you are not clear about who you are going to sell to, then all you can expect is a mess and a whole lot of mismatches ahead of you! The customer should be at the center of everything that you do, including all your efforts for the launch of your app, before and after. Hence, developing a buyer persona is a mandate for you, if you want your app to experience any measure of success at its launch. Why would they want to talk to you? What is it that you should say that would resonate with them? Once you have clear answers to these questions, it would definitely be easier for you to develop a clear buyer persona for your business and for your app. This persona can essentially define the direction of your app, your product range and more importantly the marketing plan and the app launch strategy that you put to use. 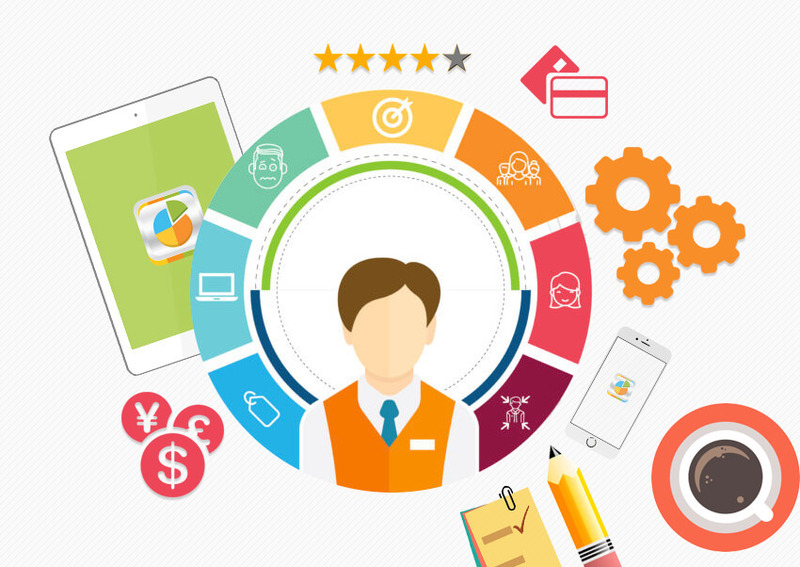 Once you have developed this buyer persona, you should now go on and try to find an audience that is ready and suitable for your newly developed app. Go out looking for places where you would find the right kind of people you want to expose your app to. This means going out and exploring different platforms like Medium, reddit, LinkedIn groups, Facebook Groups, Quora, or relevant Twitter conversations and look for groups or an audience that is ready for you and the content, product, or services that you have on offer for them. The real trick is in understanding that each of these platforms or forums would have sub-groups and an entirely different group of people who expect wildly different things from them. You would not gain much by simply going ahead and applying the same strategy and same content for all these platforms. While you might do well by posting a question or answering relevant questions on Quora, you might need to have meatier and more fleshed out content for Medium, and a completely different strategy for Reddit. Now while you are out asking questions or answering them, introducing new topics, blogging about your app, or posting rich blogs on Medium, it would do you well to leave relevant links to your webpage or to your app download page or landing page. This is how people are going to be able to reach you or may be even subscribe to a newsletter from you. Content is the undisputed king of the online world and it is this strength you need to unleash and harness if you want to make it anywhere with your app. To make your launch a great success it is important that you develop a robust content marketing strategy. As a part of a string content marketing strategy, you would be able to build a community around your app which would help you develop a rich list of followers and loyal fans even before you have gone and launched your app! This strategy needs to be designed while keeping in mind the buyer persona that you built earlier, and they should assume the centerstage here! You have to understand what is it that your target audience wants to see and where do they want to see it. There is a great number of websites or apps that come up with a blog of their own which eventually help them in a great way when they want to pull in a lot of search traffic and channel more signups to your email list of subscribers. You can even make use of the channels that we talked earlier about like Medium, Reddit, Facebook, LinkedIn, Twitter, and more. One more way to go about is finding a website that is popular and has a loyal audience and a huge following that would also be relevant for your app. On this website, you can post engaging posts that are rich in value, so that the people who frequent these websites and the moderators of the website, sit up and take notice of anything that you might have to offer them. Everything that you develop and put out there about your app should be carefully crafted and cohesive. Imagine you had to go give a speech or had to appear for an interview while representing your organization, would you do so without being properly prepped for it. How well do you think it is all going to go? This is exactly the same in case of mobile apps as well. If you do not take the moment to plan how to frame and position your app in the market, you are going to lose your rightful spot. When you are designing any content that would go out for your app, make sure that you have a clear and consistent message flowing through it. It is important that you pay attention to the reason why people would care about your app. Think and define clearly what are the benefits that you can offer to your app users or customers and try and understand the features that you have built in your app are built to support those benefits and not the other way around! It is important to know what is going to be your key marketing message and then to use that message often, especially when you are trying to get someone’s attention. Once you have this message loud and clear and out there, it is important to stick to this message and reiterate it everywhere including the app store listing, website, app press kit, outreach messaging and other such similar places. Everyone is looking today for information and they are looking for it online. 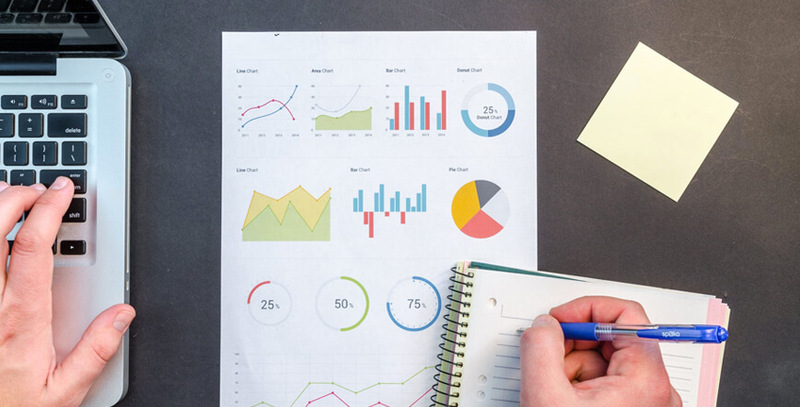 Irrespective of the industry that you are catering to, people more particularly the ones that you are targeting are looking for relevant information and you, as an authoritative figure can provide this information that they need. 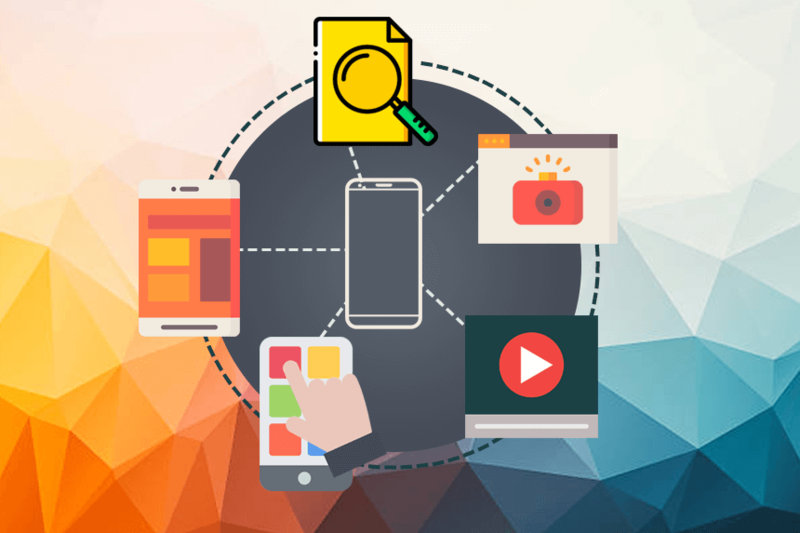 The blog can serve as a medium or platform for this dissemination of information and can even act as a medium to get you the benefits of discoverability on various search engines as it is a great technique for applying SEO for your app, even before it has been launched. The greatest thing about a blog is that it is super easy to design and doesn’t really need any particular skills or expertise. All you need to do here is choose the content management systems that suit you the best like Word Press, or Joomla or any other that you might like. 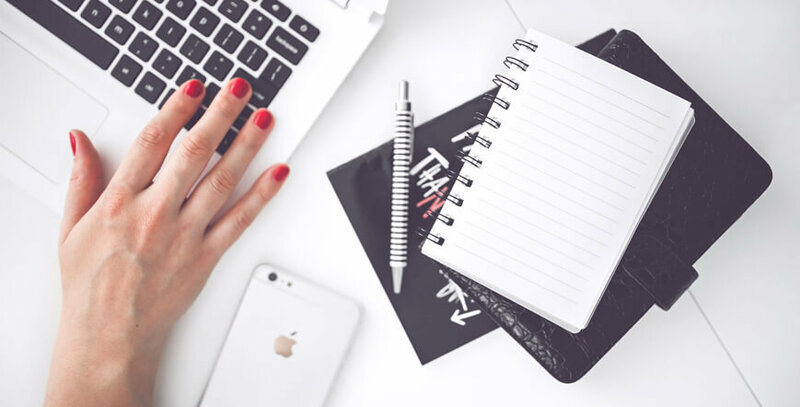 These platforms generally offer hundreds of free templates to choose from and you can get a professional looking blog for your business in a jiffy! This can even become the place where, once you have garnered a healthy number of followers you can give updates about the launch of your app, turning it into a marketing medium which is absolutely free! It is important not to ignore this powerful yet unassuming marketing channel which can become a hub of information, interaction, and engagement for the blog visitors and followers. When done right, this can induce curiosity, anticipation, and a readiness to receive your app, even before you have launched it formally. This is important as this date is what will shape the entire timeline of your app launch. You might still be in the middle of doing all that is needed for building a stellar app, but the date of your launch will structure your efforts and prevent you from getting carried away. It is a fact that your app is going to be a work in progress always and you can’t simply just be done with it. However, it is important that you do go ahead and fix a day for its launch. In doing so, make sure that you convey to your app users exactly what it is that you are offering them in clear terms. Make sure that what you are claiming to offer for free, is in fact free! If you have different pricing structures or subscriptions, they should know what you are offering for each of these levels. In short, make sure that everything is clear as day when you launch your app. This is one of the most effective and probably not so new techniques when it comes to spreading the word around, about your new app. Unfortunately, however, you would be surprised how often this step is entirely or at least partly ignored for the techniques that have more jazz around them. Setting up and sending out a press release can effectively put the word out to the whole world out there in a simple way. Where do you get your daily dose of information today? The newspaper is there, of course but then there are numerous online publications. Now, when you are going to launch your app, you would, of course want to announce it to the right kind of audience and even those on the fringe of your industry, and to the general public as well. When you set up the right kind of press release and send it out, not only the people in the field of your choosing, but other media websites or other forms of media would become aware of this app that you have created. Your own industry and the industries that are related to yours are going to sit up and take notice, thus generating an awareness and a mild (or not so mild) buzz would be generated about your app, bringing you the popularity that you covet for your business app. You can send out these press releases to individual publications of repute and offer it as an industry exclusive or can put it up on one of the newswires and wait to be picked up by all the major media houses and players. Just because you are building an app for your business and are excited about the range of features and functionality you are going to have at your disposal, it is no reason to leave behind the website and forget about what it can do for you! Your existing band of website users and any prospective app users are going to explore the website first, before deciding whether or not your app is worth downloading. In addition to this, if you are trying to leverage any form of traditional media, be aware that they are going to push the audience or the readers on to your website first and might not even link to your app. This means that your website would be frequented by multiple stakeholders from the prospective app users to the media and more! This is why there is good sense in developing your website and establishing it as your very own marketing basecamp or headquarters of sorts. This is especially relevant in case you have multiple apps or are supporting your app on more than one platforms. In such cases a website can be used effectively in order to funnel the visitors on to the right place. The website inherently would of course have all the necessary details about your app and your business, which means that anyone who ends up at your website would have all the information in one consolidated space including a link to your press kit, the support portal, all your apps, the blog, ways to contact you, FAQs, and more. The most important aspect of a website that would efficiently help you establish a resounding marketing base on the URL is the communication of your key message that you want the audience to understand and associate with your business and your message. A well-designed website can be leveraged effectively in your SEO endeavors, thus gaining enough discoverability and visibility for your business and thus for your app on the search engines. Even today most of the people search for any kind of business or information on the browsers using search engines like Google, Bing, Yahoo! and more. Having a website that is designed well and is updated frequently would definitely bring in more traffic through organic search (the holy grail of website traffic). Whenever you do decide to launch your app, and whichever date you might set for its release, it is of absolute importance that you prepare for an official announcement for the launch of your app. Make sure that time of your announcement for the launch of the app is separated by a decent time interval from the actual launch of your app. The whole process of propagating or distributing your app has been considerably hastened, but still it is a much better idea to release your app a night before the actual date of launch. Even as you do this, you have to make sure that your website and your app are in sync with each other, which means that you should update your website to include the more detailed launch version. The full version would include all the information that you want the users to know about your app and all the related links that would take them to the place where they can be downloaded from the different app stores. You can announce the release of your app on the blog which can happen on the morning of the day that the app is going to be launched in. However, it is important that you keep this announcement ready and drafted. Now at the right time, publish your blog post, send out a newsletter, and then post all your social updates on various social media channels where you have built your presence. 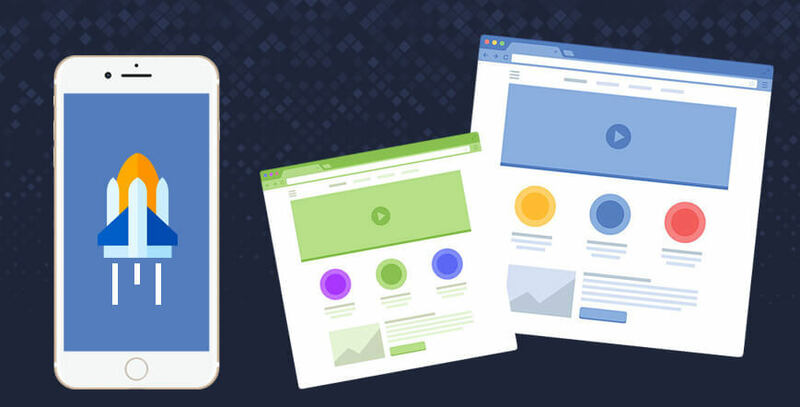 Your blog post can become a great addition to the press release that you are sending out for your app launch and can add to the whole buzz that you are building for your app launch. As a part of this announcement, you can make a gesture on your part and reach out to the esteemed members of the media and let them know that you are officially launching your app. It is important that you stick to the basic underlying message all across the numerous outlets that you have. It might be a surprise for most people that we are including this in app marketing techniques – but it can in fact become one of the most effective strategies. 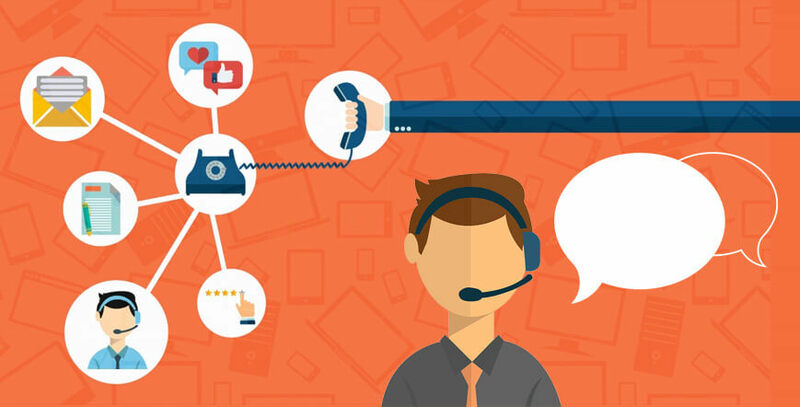 While your entire customer support system should not be developed considering it as a marketing strategy, a robust customer support that satisfies your customers and offers them any kind of value can in fact result in a marketing boost. When the customers go back happy, they are bound to leave some happy reviews thus helping you to get higher app store ratings, lesser churn, a more positive word of mouth publicity and overall get all the benefits associated with any other strong marketing efforts. Do not be too quick to dismiss email marketing as an obsolete method of marketing. It is still as relevant and as effective as it was in the initial days, in fact even better. Email newsletters can have a huge impact on the number of app downloads. One important thing to remember is that most of the people would be reading your newsletter on their smartphones. You can include elements like a banner within your newsletter so that you can guide the subscribers of your newsletter to your mobile app. You can make your newsletter more appealing by giving your subscribers a lucrative discount or an exclusive offer like free shipping etc. on the purchase or any other action that they take on your app for the first time. Even as you are doing this, the newsletter you write should be drafted smartly so that it has all the necessary elements including a great offer, a strong pitch and most importantly your signature. While you are drafting this email newsletter, you should sign it off with your company email signature. Emails are an important part of any business, and when you do that, you can even use it for email marketing. When you have a newsletter that offers some great value and your signature at the bottom of the email has a download link, it can become a very useful tool to promote the app to your contacts. While you are allocating budgets for various marketing activities you should make sure that set something aside for mobile ad campaigns beforehand. The kind of money that you would need to set aside for this depends entirely on the size and duration of the mobile ad campaign that you are going to run for your app. The modern lives today are spent mostly on the smartphones and a mobile ad campaign that is designed intuitively can go a long way in bringing in more clients for you than you can imagine and with great ease too! Proper planning is instrumental to create a mobile ad campaign that would be able to bring in any measure of success for you. You have a clear production strategy. If you have reached the stage where you are building your app, you must also be aware of the advantage of a robust list of email addresses of prospective clients. Now, you might already have been doing this if you already have a website of your own and if you do not have one, it is high time you thought about getting a landing page at least. This landing page can be a part of the website or can be developed using a landing page service. Now this landing page is one of the most important tools for you as it would help you create an email list of exactly those users who might be or already are interested in the app that you are building. Once you have created a stellar landing page you would have to take steps to ensure that they are exposed to the right kind of audience at the right time. To ensure this, you must plan a meticulous promotion strategy for the landing page and make good use of any kind of paid media at your disposal starting from social media, to emails, and you can even approach the right kind of influencers and encourage them to share your landing page. The landing page that you design for your app before it is even launched, must become the face of the app. The moment your prospective customers or any other visitor lands on your landing page, they should be made aware of the key benefits that your app offers them, the various unique features that the app has, and if you can, then do include some appealing screenshots or preview videos too! The power of the visual content goes a lot further and deeper than content in the text format. Now one of the key components to a landing page, whether it is on your website or is an independent page, is a subscription form or a signup feature. Once the users signup or fill in the subscription form, their contact information can go on to populate your email list, which comes in handy for your email marketing efforts and enhances the results. 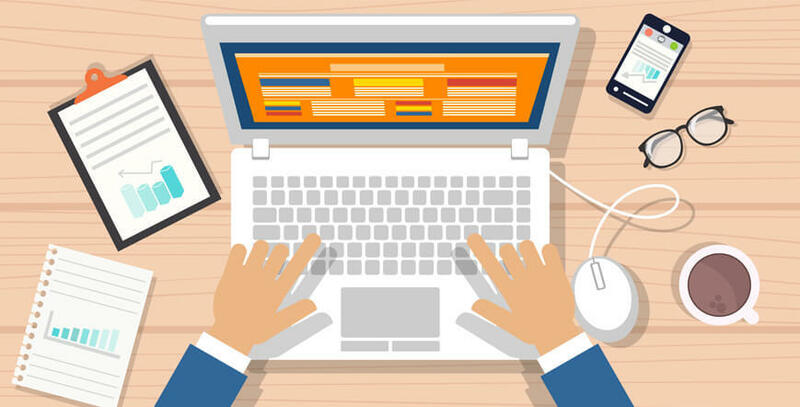 While promoting this landing page you must ensure that you make good use of SEO techniques and make your landing page discoverable on the search engine. The power and impact that the social media wields needs no assertion. No matter who your customer may be, if you are building an app for it, they are definitely on the social media and are using it in varying degrees for various purposes. 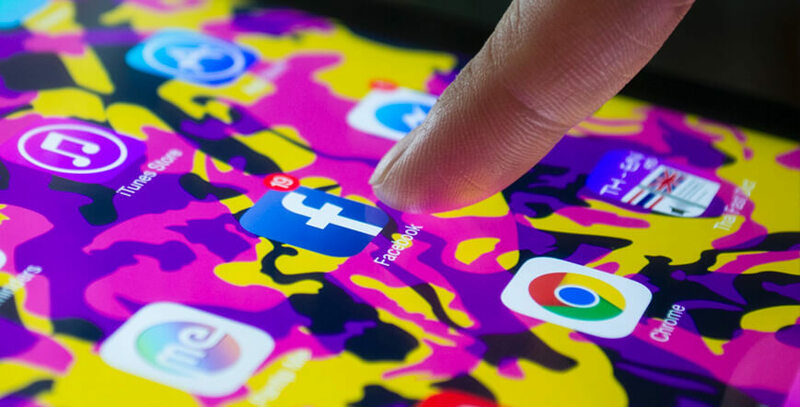 Social media has an inherent ability to make sure that your content is exposed to the relevant audience and gives you the ability to choose the audience you want to target. Hence, it is quite obvious that while you are working on the launch of your app, you would have to promote it using social media and leveraging it to its utmost potential. When you are working on the launch of your app, you must begin with Facebook, Instagram, and Twitter for your initial attempts. In fact, studies have emerged recently to claim that about 80% of the consumers get to know about shopping apps from Facebook. Run promotions on all your social media channels and connect the app to your social media pages with a call to action button that says something simple like “Use App” or “Install App” and can then direct the visitors to your app store page. Use social media to make a memorable space in the minds of the audiences, interact with them, engage them in conversations about your app. Then there are other social media channels like YouTube or Vimeo where you can post relevant videos including tutorials for new users or people who are curious. When people understand you easily, the chances of them signing up for your app are definitely higher. Pinterest, Snapchat, Instagram and such photo sharing apps are great for sharing some carefully designed ad campaigns or simply some great screenshots with direct download links that the users can use. It has been proven through research time and again that once customers begin using a certain app they tend to spend longer using it, come back to use it frequently, and make use of it. But the real struggle lies in it being discovered by the customers for the first time. This means that you need to make sure that your app can be found easily on the app store. In order to make that happen, the leading app stores make use of App Store Optimization or ASO to rank your app. The possibility of your app being discovered by potential customers is heavily dependent on the ranking your app enjoys on the app stores. The higher the app rank, the more easily discoverable and visible it is going to be. When you are putting your app up on the app store there are certain aspects that need to be taken care of so that you can raise up your ASO game. This is the most important part of your app listing on any app store and plays the most defining part in the ASO of your app. The app title should be crisp & clear, must have the brand name, should contain relevant keywords at the beginning in order to enhance your app ranking. The space that you are afforded by the app stores to write the description for your app must be used intelligently and efficiently. You can spend some time looking at the keywords that your competitors are using and then choose only those keywords that are the most relevant to your app. When you are categorizing the app, do so clearly. This means that if you have a retail app, it should be in the shopping category and not entertainment. This means that when you do your job well, you would reach the top of the category, affording you some great exposure. Most of the leading app stores let you post about 5 to 8 images and you must choose the most appealing ones you have in the app to attract the attention of the users. The ranking for your app is bound to be fluctuating from time to time, hence it is important that you keep trying out different options and variations of keywords, tweaking the app description from time to time, and even using fresh screenshots frequently. Two of the other important factors that make an impact on your app ranking in the app store are the total number of times that the app has been downloaded and the ratings and the reviews that the users have been leaving behind on the app store. The cool new app review and rating system on the Apple App Store where the app users do not have to leave the app in order to rate it, makes this a non-hassle experience for the users and a great opportunity for the app owners. The aesthetic appeal of the app is of paramount importance as humans by nature are visual and it is the look and appeal of the app that makes the first impression and as they say first impressions last longer. The prospective customers would have the app icon residing on their screen, are they going to like looking at the icon day and night or are they going to tire of it. If the icon you design for your app is interesting, you are going to encourage the app users to keep coming back to the app and interact with it. The screenshots that you are going to use should be attractive enough for them to want to download the whole app. These screenshots must also convey the basic functioning and features of the app so that the people who see it are motivated to find out more and then download and install the app. Visuals like screenshots, photographs, preview videos should tease the audiences and yet tell them how easy their life is going to be with the app. The more visual material you put up in your app store listing, the more you are going to establish your authenticity and a stronger faith amongst the users that you are targeting. It is a good idea to invest some time, money, and other resources in creating a good visual library to help you launch your app with great success. Ideally, I would recommend that you reach out to the press and all the media, well before your date of launch, but it would do you well to get into some outreach efforts on the day of the launch. If you can get some valuable mentions in the press on the day of the launch, you would be able to leverage these mentions and garner some additional mentions in the press. It is only the “scoops” and “scandals” not many people would want to be the first ones to post something. Hence when a reputable media house or a member of the press is mentioning you, you would see a lot of others picking up on the trend and catch on to your app. As a part of your app launch strategy now you have, at your disposal multiple channels and platforms where you are promoting your app. It includes your website or the landing page that you have created independently, all those social media pages that you have created on different channels, or any other channel. Now on your launch day, all these channels gain a huge importance for your app and it is absolutely imperative that you pay attention to all of these channels and a keep a track of all that is going on around your app and the app launch. Doing this will keep you in tune with all that is going on with your app. When you pay attention to all that is being said about your app, you would be able to find all the new articles that are being written about your app. When you are aware of such things, you have the ability to interact better with the audiences and the authors of these articles. It really gets interesting when the chatter is coming from users or from people who might be interested in covering the launch of your app or even reviewing it. There are a number of good tools available like Buzzsumo and Appbot which allow you to receive alerts about your app. Irrespective of how you decide to keep a track of and respond to it all, make sure that you have a realistic goal about the time you would take to respond and make sure that you abide by it. This way, the users would know what to expect and how soon to expect any kind of response from your end. There is a lot of effort and time investment involved in building an email list, then creating appealing and suitable content that needs to be posted or sent out through different channels including social media. However, one common and quite a fatal mistake is letting it all fizz out with time. When you are developing an app, there are a thousand things vying for your attention and it is only natural to be overwhelmed by it all. However, that is no reason to entirely ignore this aspect of your app. After all, if no one is aware that you have launched an app, how are they going to download it, install it, and begin using it!